A British textile manufacturer has launched its new range of flame retardant dress fabrics at the prestigious Première Vision Fabrics show in Paris this week. 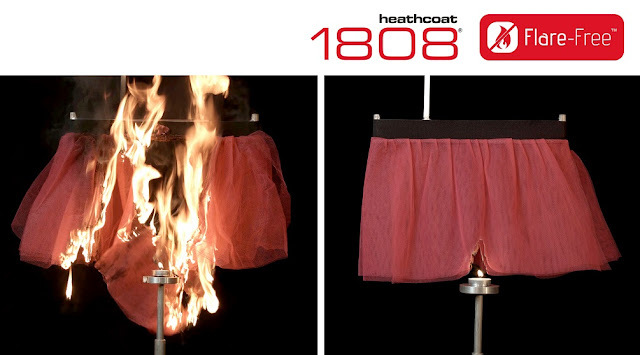 The Heathcoat 1808® brand of dress nets, tulles and costume fabrics incorporates their unique ‘Flare-Free’ technology. The Flare-Free fabrics are independently tested to conform to EN71 part 2, but they go a stage further and comply with the company’s own stringent internal standard. This specifies that no residual flame should be present after the fabric is exposed to a gas flame for a specified time. This meets and exceeds the much tougher flammability requirements of the nightwear standard BS5722. In a powerful demonstration of the products’ fire retardant properties a video has been released comparing the burn time of a child’s tutu purchased in the UK with a similar tutu in Flare-Free dress net. The video starkly shows that a typical child’s costume offers no protection to flame and will fully combust in a matter of seconds, while the Flare-Free equivalent will not burn. Philip Wignall, Business Manager for Heathcoat Fabrics, believes the current European EN71 regulations for safety requirements in toys which covers flammability are not adequate to protect people’s safety, especially children. He said: “The video demonstrates that there is a definite need for more stringent controls over flame spread. Other than our Flare-Free fabrics, all alternative dress nets available for children’s costumes will simply combust in seconds, offering no protection. Flare-Free with no detectable formaldehyde. Heathcoat 1808 has gone a step further with ‘Flare-Free’ and is also making a range of these fabrics available under their Zero4 brand. This technology has been eight years in development to create fabrics with less than 20 parts per million of formaldehyde, which is a non-detectable level. Heathcoat 1808 is typically purchased by wholesalers and made available to fabric retailers or haberdashers. Consumers are advised to ask for fabric that carries the ‘Flare-Free’ logo for peace of mind that their dress net is truly flame retardant. This will also be of interest to fashion designers following its debut at the Paris Première Vision Fabrics show. The Heathcoat 1808® range of dress net and tulle fabrics is developed and manufactured in Tiverton, Devon, UK by Heathcoat Fabrics Ltd.
Heathcoat Fabrics is showcasing its trend colours for Spring/Summer 17 at the Première Vision Fabrics show, alongside existing colour inspirations for Autumn/Winter. Included in the new product offering, all of which are designed and manufactured within their own UK plant, are the totally new zero formaldehyde soft dress net for children's clothes; stiffer Flare-Free tulles for bridal gown, prom dresses and tutu; dance and fashion dress nets; locknits, textures and technical fabrics, including their own-brand 3D spacetec® fabrics in a range of new colour and surface combinations. The company provides a wide range of own-branded, patented high performance product solutions. It operates a total end-to-end high competency service with in-house research & development, design, testing and on-site manufacturing facilities that include quality-controlled yarn texturising, warping weaving and knitting plant and the latest advanced specialist dyeing, textile enhancement treatments and finishing. 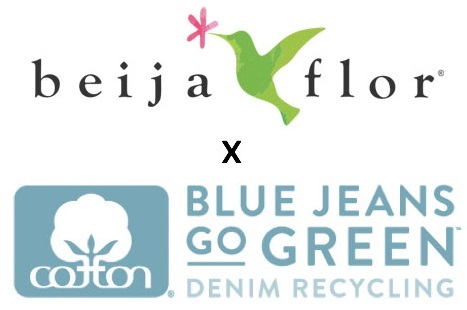 Thank you for taking the time to read our textile industry news blog post. We hope that you have found this news to be informative. If you have comments or questions, please add your thoughts in the discussion area below.